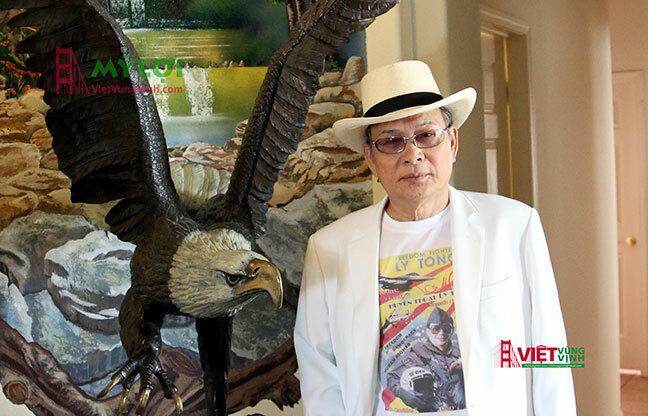 My name is Ly Tong, a former fighter pilot in Vietnam War. As a fighter pilot, my eyes were perfect. As time goes by, I got older, and after 8 years attending the University of New Orleans to get BA, MA and to accomplish my Ph.D. program in Political Science (2) and specially after 23 years being excruciated in communist prisons after being shot down in 1975, and two times going back to Vietnam to help liberate my country as a political prisoner (3,4,5), I became near-sighted, but needed no glasses when reading and could see clearly the smallest line and only used glasses when driving or flying. The last glasses I used were 1.75 diopters for far-sightedness. I had cataract many years ago, but due to having no health insurance, no income, no other health problems; therefore, all the medicines I used were OTC drugs. I moved to San Diego in September 2014 and my cataract became more serious at the time I'd just had Medicare and others due to my age (66 years old). My first visit to Dr. Gitane Patel was on December 10, 2014 and a couple more visits for eyes checking and consulting followed. When knowing that after surgery I could not read without reading glasses as I used to do so far and Dr. Patel suggested that if I implanted restor lenses, the best and most expensive lenses, I would not use eye glasses anymore. Because I needed to finish my project worth millions of dollars and I didn't want to have unforeseen problems when flying, I agreed and chose an eye service package of $5,998.00 (6,7) for “restor lenses” when my book publisher agreed to lend me this money. I paid the full amount of the cost in advance. On March 12, 2015, I underwent cataract extraction with restor lens implant for my right eye, and on April 9, 2015 for my left eye. After two performances, my vision became more blurry so Dr. Patel decided to perform new eyes treatment technique called ”Yag capsulotomy” to my both eyes in two different occasions on May 20, 2015 and May 27, 2015. On June 03, 2015, I returned to visit Dr. Patel to have my eye glasses prescription with +2.50 for both eye nearsightedness and -0.50 and -0.25 for right and left eye farsightedness (8). I felt that my eyes were tired and heavy so I underwent the bilateral upper lid blepharoplasty on July 21, 2015. I complained against Dr. Patel, "Before, I never used eye glasses when reading and you told me I would need no eye glasses for riding and flying too if I chose restor lenses to implant, but now I had to use bi-focal eyeglasses for both reading and riding. My vision became much worse than before. Before surgery, I used only refresh plus once a day and now, besides using Betimol, Simbrinza and Lumigan for a short period, I had to use twice a day Restasis for dry eyes and Cosopt for glaucoma every day but still could not work with my computer normally due to glare." 1. I have to quit my project The Vietnamese-English Rhyming Encyclopedia worth millions of dollars (Vietnamese have no encyclopedia as well as rhyming dictionary until now and with the population of over 90 million people, I could sell 50-60 thousands copies in the first edition, $100/each, and could make 5-6 million dollars). I spent 3 years working on it (from 8AM to 11PM almost every day) and it needs 3-4 more years to be accomplished. This project income will help me to refund all the medicare bills paid for my health problems so far and also help me not to depend on SSI payments anymore because after 32 years coming to the USA, I worked only 1 month in the first year and the rest of my time was either in the University or in the Communist prisons (2,3,4,5). Dr. Patel destroyed my effort and hope to be self-sufficient, to relieve my burden off the tax payers' shoulders. He also destroyed my opportunity to contribute my part in the Vietnamese literature because this rhyming encyclopedia will help the Vietnamese poets compose their poems more efficiently and perfectly. 2. I cannot work with my laptop as I did before even when using four different reading glasses (2.50, 2.75, 3.00 diopters), a magnifier, 2 anti-glare screen protectors, zoom 200, font size 18, dimming the brightness and slanting the laptop screen 45 degrees. I cannot watch TV clearly except glaringly. 4. I cannot continue to fly around the world to drop leaflets in Communist countries as a "leaflet cowboy" to call people to rise up to overthrow their dictators. I spent 23 years in Communist prison for my just cause, but now I have to abandon it because of Dr. Patel's medical malpractice. 5. Dr. Patel caused my eye dryness and glaucoma more severe and the cost for two eye drops Restasis ($436.32) and Cosopt ($146.71) is $583.03 every month! 6. The most important and urgent problem is to reimburse this sum of money $9,998.00 ($5,998.00 for lenses implant + $4,000.00 for buying dictionaries, dictionaries' data and equipments) because I cannot repudiate my debt to book publisher, Mr. Huong V. Nguyen, who paid in advance for these costs because I cannot work on this project any more. $10,000 is a small sum of money to doctors but it's a fortune or a big debt for a person depending on SSI like me. Dr. Patel decided to refer me to Dr. Morton on October 26, 2015 and to specialist Dr. Bokosky on November 23, 2015, and to specialist Dr. Choplin on January 20, 2016 of Eye Care Of San Diego at 3939 Third Avenue San Diego, CA 92103. OnFebruary 26, 2016, Dr. Morton performed bilateral upper lid ptosis repair and external levator advancement (9) and Dr. Bokosky made an appointment a couple of months later on July 28, 2016 to have the Restor lenses removed (10). I once asked Dr. Choplin, "What is my real problem?" This specialist answered, "No doctors plant those fancy lenses in the eyes having glaucoma!" In the article "How do I know which lens to choose" Dr. DeBry wrote: "A multifocal lens is not recommended if you have one of these eye diseases: Glaucoma, diabetic retinopathy, diabetic macular edema, or macular degeneration." Dr. Patel also told me to relay my request of refund to the office manager and his Boss and Owner, Dr. Katzman. I could not meet the office manager because she was not in office at the time but I could see Dr. Katzman the first time on January 14, 2016and 3 more times on April 12, 2016, April 26, 2016 and the last one on May 24, 2016. When I determined to demand refund because, after 4 months under Dr. Katzman's care, my eye problem did not improve as promised, and especially after Dr. Bokosky had decided to have the Restor lenses removed, Dr. Katzman challenged me to bring lawsuit against him. The solution to refer me to Dr. Morton, Dr. Bokosky and Dr. Choplin as well as to relay my request of refund to the office manager and Dr. Katzman was in fact a planned FRAUD with 3 steps as explained in Fraud section. I went ahead to file the Small Claims matter on May 31, 2016 with Case No: 37-2016-00336502-SC-SC-CTL. On 09/26/2016, at 8:00 am, at Dept C-20 with Judge Deward Houck, before the court, Dr. Patel, after exchanging his testimony with mine, and reading evidences of two of his master experts: Dr. Morton and Dr. Bokosky, the first performed a surgery on February 26, 2016 (9) and the second made an appointment for Restor lenses removed on July 28, 2016 (10), under his attorney's advice, didnot mention any arguments such as: "Plaintiff must offer qualified expert testimony that the treatment provided by Dr. Patel fell below the standard of care, to prove Dr. Patel's breach in the standard of care was the cause, within the reasonable degree of medical probability, of his injuries, and that plaintiff sustained verifiable, documented injuries and damages as a direct result" besides his only statement: "Plaintiff's claim against Dr. Patel is time-barred by the applicable statute of limitations." To avoid the medical malpractice of planting restor lenses in the eye having glaucoma, he made up story by adding that "the Plaintiff had glaucoma after the surgery." Judge Deward Houck based his verdict on the statute of limitations, not "a case adjudicated on its merits" as Lawyer Souther claimed because "if you don't file the lawsuit within the specified period of time, the court will dismiss the caseregardless of the facts." That's why what I received in the court paper delivered after one week was a cross at section 2: "Defendant does not owe plaintiff any money on plaintiff's claim!" (11). When I was in desperation, a friend told me I could sue Drs. Gitane Patel, Barry Katzman, and West Coast Eyecare Associates for a Breach of Contract and a Fraud due to their 4-year time limitation. I submitted my complaints to the Superior Court of California, County of San Diego - Central Division on 10/23/2017 with Case Number: 37-2017-00039785-CU-BC-CTL and the hearing scheduled on 04/06/2017 at 10:30am at Dept C-65 by Judge Joan M. Lewis. After my friend handed the court paper to Dr. Patel, I received a phone call from Attorney Greg Lounge on 11/1/2017. This attorney asked me how much I demanded for refund. I replied, "Only $9,998.00." My happiness just lasted for a week, then on 11/9/2017, I received a phone call from Mr. Matthew R. Souther, Dr. Patel's new attorney. Attorney Souther threatened me to drop my case because, according to him, I could never win him. I declined to follow his order and told him I will continue to go to the end. "If you win, I will continue to file complaints to the US Supreme Court, the White House, the US Congress... simply because I cannot repudiate my debt to my book publisher!" I replied. After receiving telephone call with repeated insult "you're an idiot" and testimony from Attorney Souther, I felt the stress and anxiety building up so serious that my doctor had to send me to hospital emergency 3 times. During the last 3 months and a half, I lost appetite, got short breath and lost 30 lbs because I could not eat and the doctor had to prescribe me portable oxygen concentrator to carry around. That's why I sent my opposition to the demurrer 1 (one) day late (6 instead of 5 Feb, 2018). If there was no Khmer traditional medicine to help me recover from my illness, I could not survive till today. The essential terms of the agreement on March 12, 2015 and April 9, 2015: After examination, Dr. Patel told me if I agreed to implant restor lenses, the best and the most expensive lenses, I would not use eye glasses any more. But after the implant, he gave me the eye glasses prescription with +2.50 for both eye nearsightedness and -0.50 and -0.25 for right and left eye farsightedness. He further advised me that the use of eye glasses are temporary and it could take months for my vision to be healed, to improve and adjust to the restor lenses and I will no longer need eye glasses. And on October 24, 2016, after one year and four months of treating by both of them and two other doctors referred to me by Dr. Patel, my vision became worse with far-sightedness increasing to +1.50 and near-sightedness +2.50 diopters (7), completely worse than my old vision: Never using reading glasses before restor implant. On October 26, 2015, Dr. Patel breached the agreement by the following acts: My eyes were getting worse so he referred me to Dr. Bokosky who decided to remove the restor lenses and I had to use glasses. I suffered damages legally caused by the Dr. Patel's breach of the agreement as follow: $5,998.00 cost of restor lenses implant; eyes were damaged since there was problem of glare, halos; the dryness and glaucoma were more severe; I got blackout two times with eye pressure up to 65 degrees, and Dr. Patel told me I might become blind; I couldn't see clearly the street sign within 20 feet, couldn't work normally with computer, couldn't fly airplane and lost book deal. All damages are to be determined. The solution to refer me to Dr. Morton, Dr. Bokosky and Dr. Choplin as well as to relay my request of refund to the office manager and his Boss and Owner, Dr. Katzman, was in fact a planned FRAUD with 3 steps: (1) To sell me out so that new doctors will be responsible for my eye damages; (2) To make up some excuse to shift the blame onto my shoulders; and (3) To play the time game so that when I decided to sue Dr. Patel for medical malpractice, my claim would be time-barred by the applicable statute of limitations! (1) The first step was not achieved because, on February 26, 2016, Dr. Morton performed bilateral upper lid ptosis repair and external levator advancement (9) and these two surgeries helped not harmed my eyes. For Dr. Bokosky's part, he made an appointment to have the Restor lenses removed on July 28, 2016 (10), but I had to postpone the surgery until further notice, waiting for new decision. (2) The second step was blatantly invented with stories like those in Dr. Patel's testimony: "Plaintiff returned to see Dr. Patel on November 23, 2015 but he still had not seen Dr. Morton" and "Plaintiff said Dr. Bokosky told him to have the Restor lenses removed. Dr. Katzman noted this information had not been documented by Dr. Bokosky in his records." I did not miss any appointments. If I didn't see Dr. Morton, how could I receive a surgery on February 26, 2016 (9)? And document (10) was a conclusive proof of Dr. Bokosky's appointment for Restor lenses removed on July 28, 2016. (3) The third step was the most meticulous. When Dr. Katzman met me, he convinced me that he could help to bring my vision back perfectly. He always tried to avoid to talk about refund. He met me 2 more times on April 12, 2016 and April 26, 2016 with the same propaganda theme. Then on May 24, 2016, when I determined to demand refund because, after 4 months under his care, my eye problem did not improve as he had promised, and especially Dr. Bokosky decided to remove the restor lenses, Dr. Katzman challenged me to bring lawsuit against him. His time calculation was perfect, not his treatment or not for any good intention. This successful scheme helped him to swagger blatantly: "Plaintiff was required to commence litigation no later than April 2016. He failed to do so." I did commit this mistake because not only due to the uncommonly short time limitation for medicare malpractice, but also due to other reasons: I did not have the intention to sue Dr. Patel in the first place and I was so innocent to trust in the doctors' conscience due to my belief: "An honest doctor is like an affectionate mother!" (My maternal grandfather was a royal physician and all my family's members were herb doctors). Conscience was the one the intemperately greedy vultures like these doctors do not have. If I knew their real fraud with a play-for-time game through Associates' Manager and Owner, I should ask a lawyer to go ahead with the legal proceedings to request damage compensation with hundreds thousands of dollars, not $9,998.00through Small Claim Court, right after the surgery when Dr. Patel gave me the eye prescription with -0.50 diopter for my far-sightedness and +2.50 diopters for my near-sightedness (8). On March 16, 2018, in the hearing proposed by Attorney Souther, Judge Joan M. Lewis gave me the Deft's Demurrer in which there are 3 major decisions: (1) The complaint against Dr. Patel is barred by the doctrine of res judicata and/or collateral estoppel; (2) This complaint filed more than one year later is therefore barred by the statute of limitation and (3) The court treats Plaintifff's failure to oppose the demurrer as a concession the demurrer is well-taken. As a result, the demurrer is sustained without leave to amend. Breach of Contract and Fraud? Besides the injustice at the Small Claims Court and the Superior Court of The State Of California, County Of San Diego - Central Division due to the Statute of Limitation and the Doctrine of Res Judicata, what shocked me was the Medical Board Of California's decision: "As the consultant found that the care rendered in this case did not depart from the standard of care, no further action can be taken by the Board " (12) when, in fact, what Dr. Patel did was fixed by Dr. Morton and what he put in was to be removed by Dr. Bokosky, both of them were his master! We're living in the market-system nation and any bad product must be refunded. Samsung has issued a mandatory recall of all Galaxy Note 7 for a full refund or a replacement for another phone. It cost them $5.3 billion in total losses even there are only 35Galaxy Note 7 phones having exploding batteries. 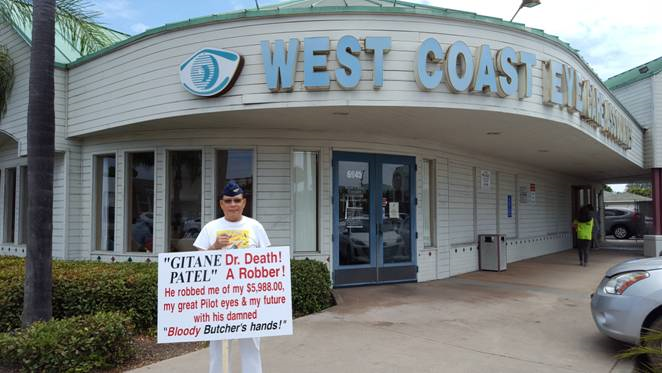 If Dr. Patel, Dr. Katzman and West Coast Eyecare Associates won't have to refund the total cost from May 2015 till now: $18,811.94 to MEDICARE as well as the cost for my future eye drops and surgery, and if there won't be a suspension of the medical license held by Dr. Gitane Patel so that these "bloody butcher's hands" could not endanger anymore the safety of his patients through physical pain, mental anguish, medical bills, and lost work and lost earning capacity by his use of fraud, deception and misrepresentation as I proposed [during my 2-month demonstration, there were 5 patients having the same problem as mine coming to talk to me (1)], at least, they have to refund and compensate me the amount of $9,998.00 made payable to my book publisher Huong Van Nguyen at my address. I hoped that Your Honor would have sympathy on a miserable guy with 23 years in Communist prison, now living on SSI and needing refund to pay back his book publisher so that he wouldn't be bearing the disgrace of repudiating his debt for the rest of his life. Thank you, your Honor, for your kind consideration. I really appreciate your help.